There was a total of 76 incidents of piracy and armed robbery reported in Asia between January and December 2018, ReCAAP Information Sharing Centre (ISC) said in its annual report. Out of these, 62 were actual incidents and 14 attempted incidents. In addition, four were incidents of piracy, while 72 were armed robbery against ships. As informed, this represents a decrease of 25% in the total number of incidents and a 31% decrease in actual incidents compared to 2017. What is more, this marks the lowest number of incidents since ReCAAP ISC began keeping records in 2007. 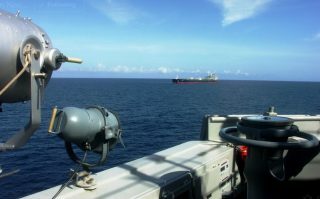 “While ReCAAP ISC welcomes the recent downward trend in the number of incidents of piracy and sea robbery in Asia, we urge the law enforcement/regulatory authorities and shipping industry to continue the vigilance and cooperation that has led to the decrease,” Masafumi Kuroki, Executive Director of ReCAAP ISC, said. “In Asia, more than 90% of the incidents are armed robbery against ships, which occur in territorial waters of the Coastal States. Therefore, the ownership and efforts of the Coastal States in deterring, detecting, and apprehending perpetrators is vital in reducing the number of incidents in Asia, as are the vigilance and preventive measures by ships,” Kuroki concluded.